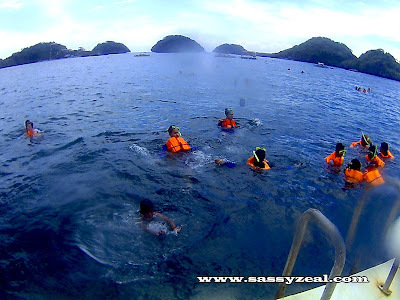 Quezon Island is the heart of the adventure and activities in Hundred Island where most of the tourists stay. There are picnic tables for rent for P 200 each or pavilion for P 4000. 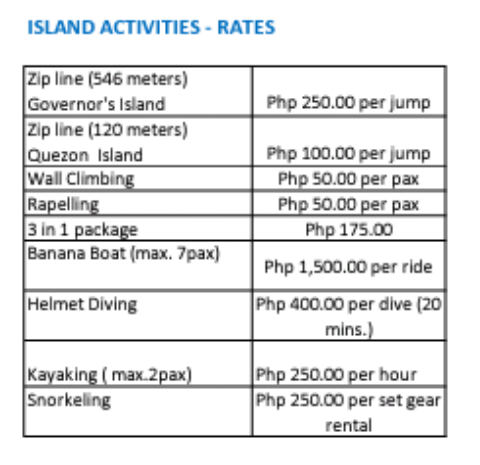 For the group who love camping, you can rent tents on the shore of Quezon Island for P 400 or simply pitch in for P 200. Activities such as Wall Climbing, Rapelling, Zipline, Parasailing, Kayaking and Banana boating are all available. 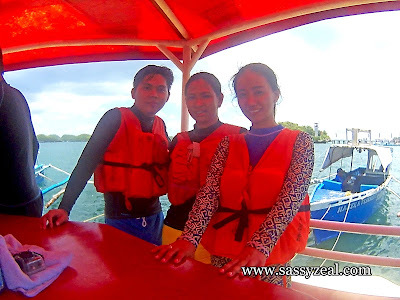 For experienced and first time wall climbers, enjoy the incredible view of Hundred Island and see view while you are gear up with helmet, harness and climbing shoes! 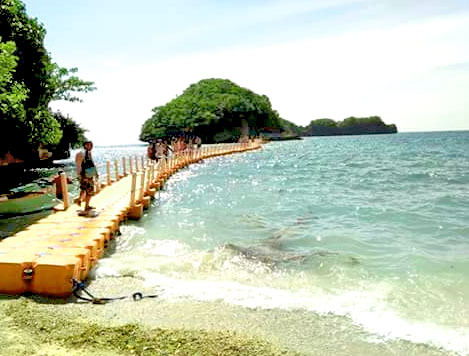 One of the most developed and popular Islands in Hundred Island, Children’s Island. From the name itself, this island is very suitable for kids as the water is shallow here. 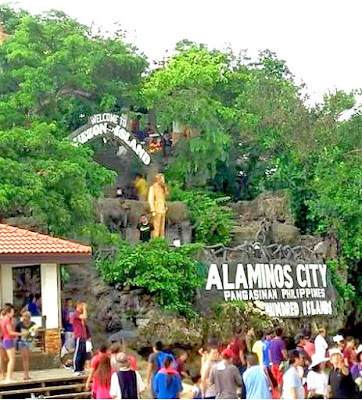 Just like in Quezon Island, there are lots of fun adventure and activities in this island. Picnic tables can be rented as well here for P 200 or pay pitching fee of P 200.00.